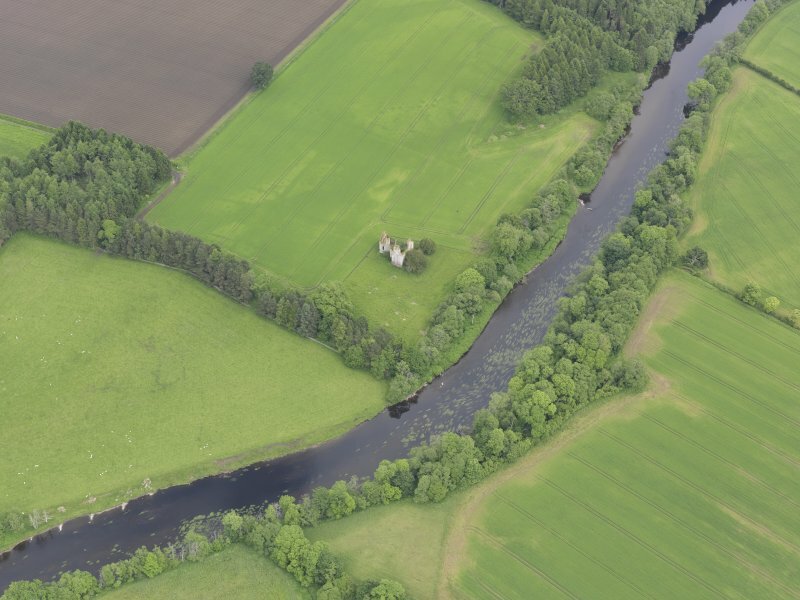 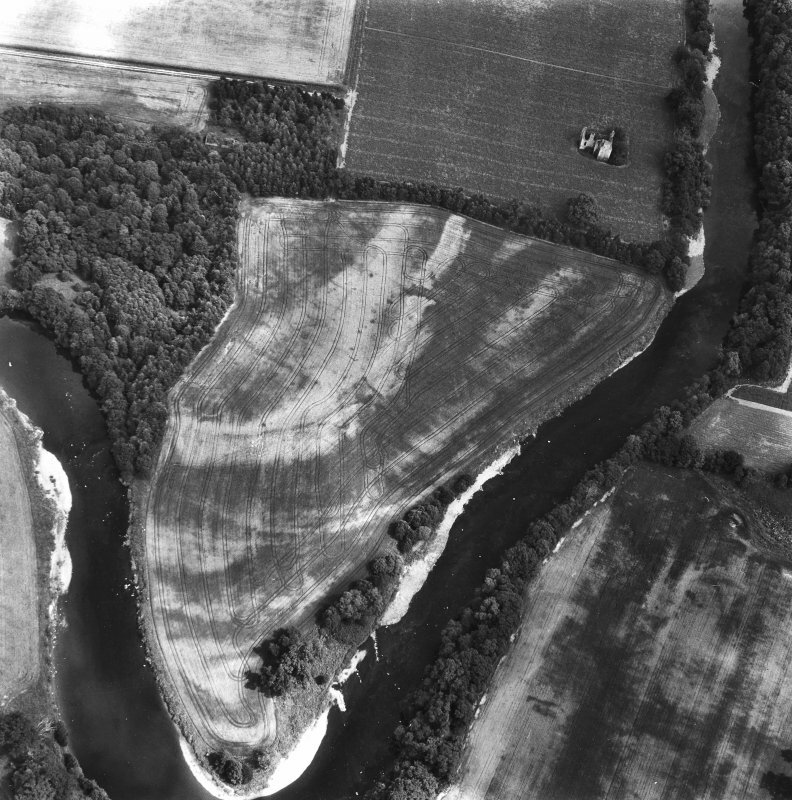 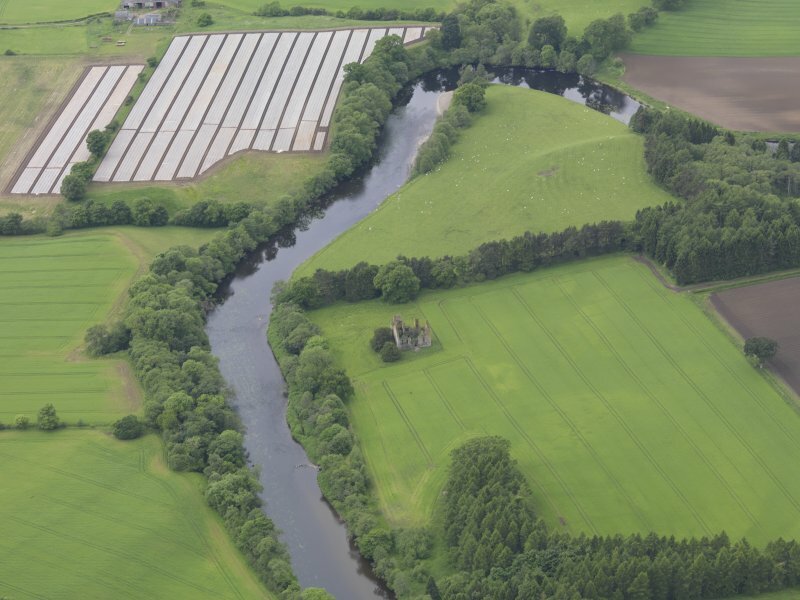 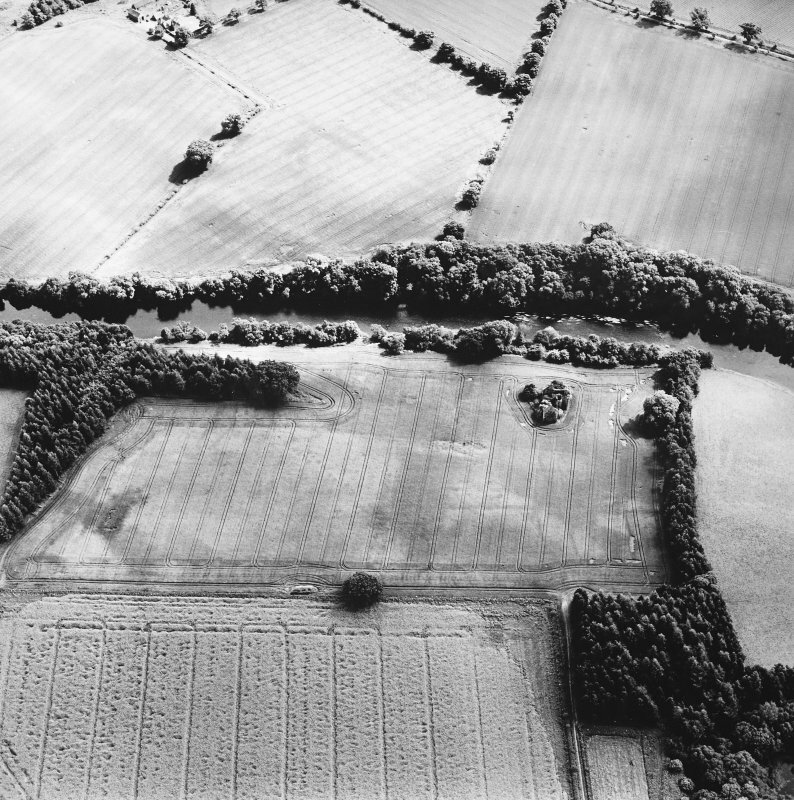 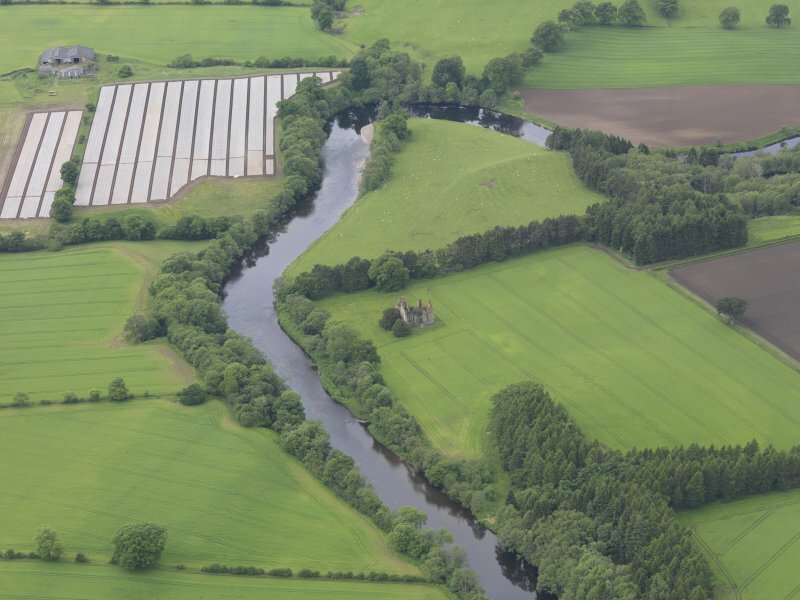 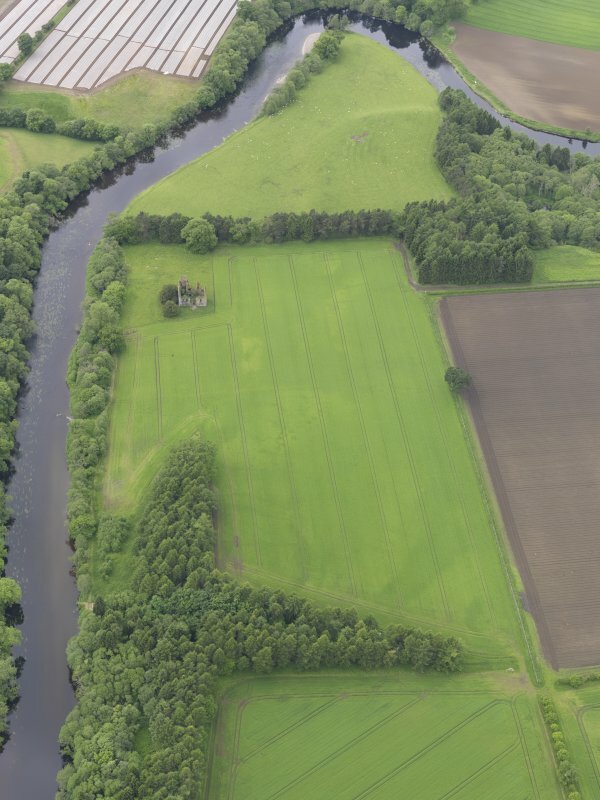 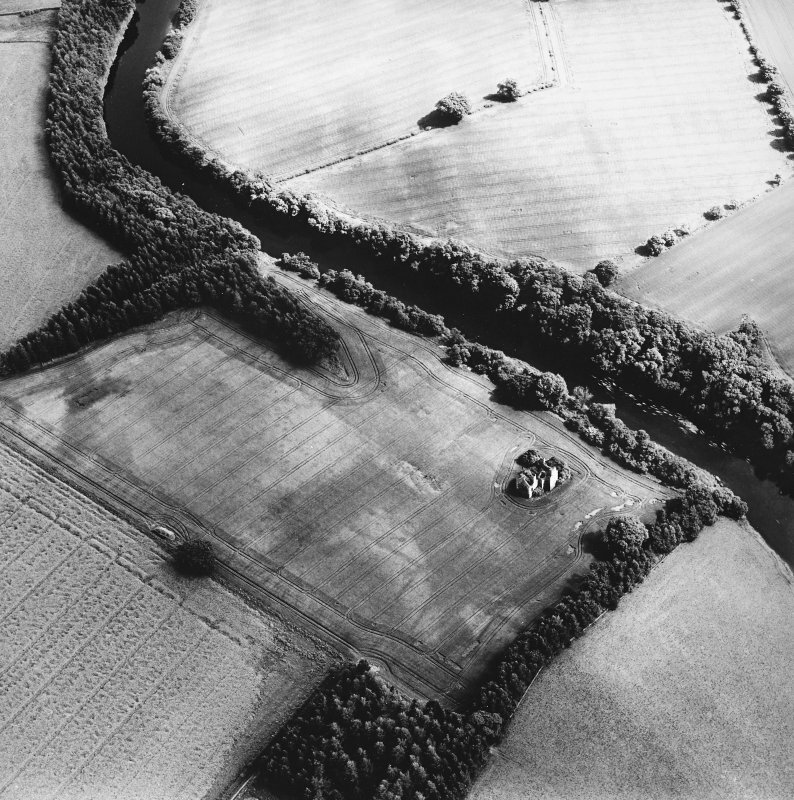 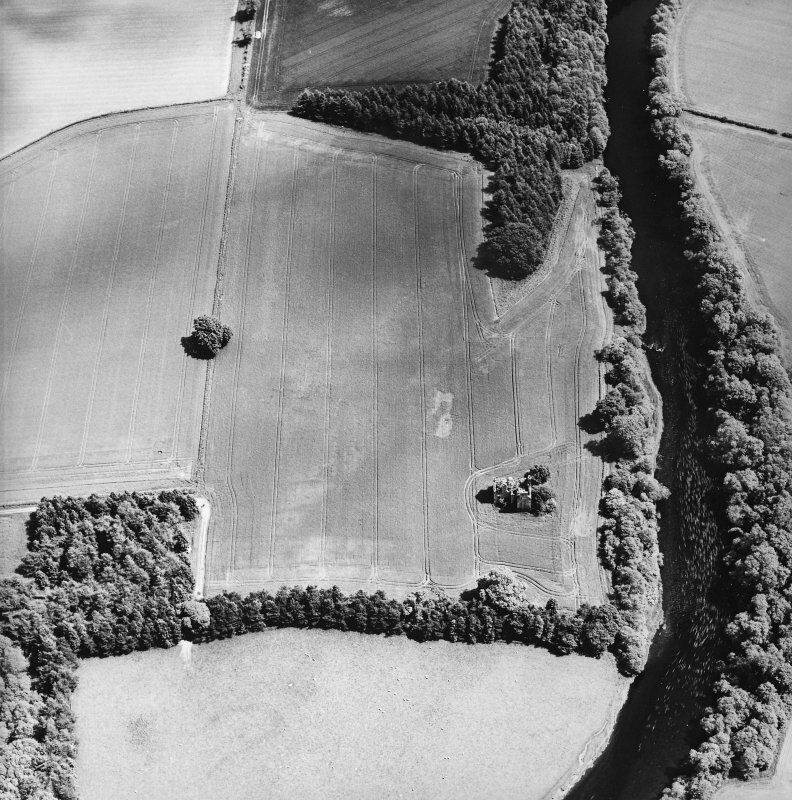 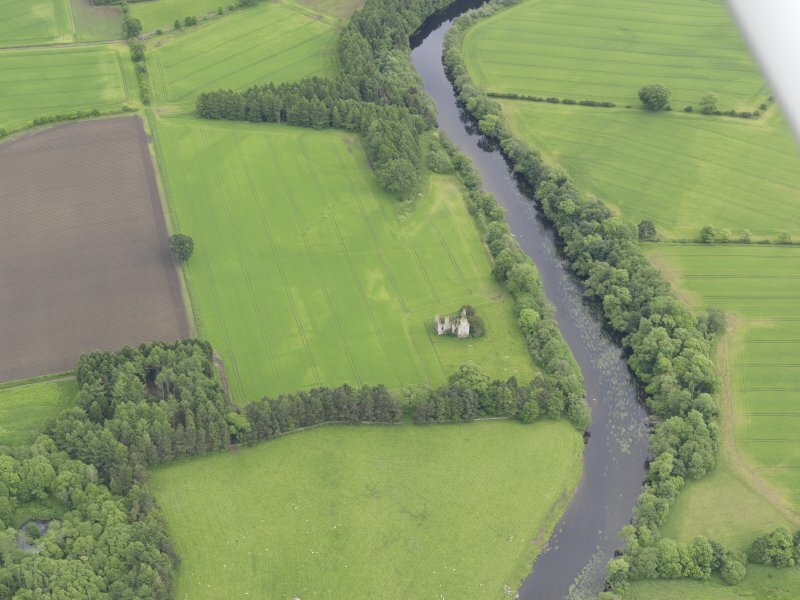 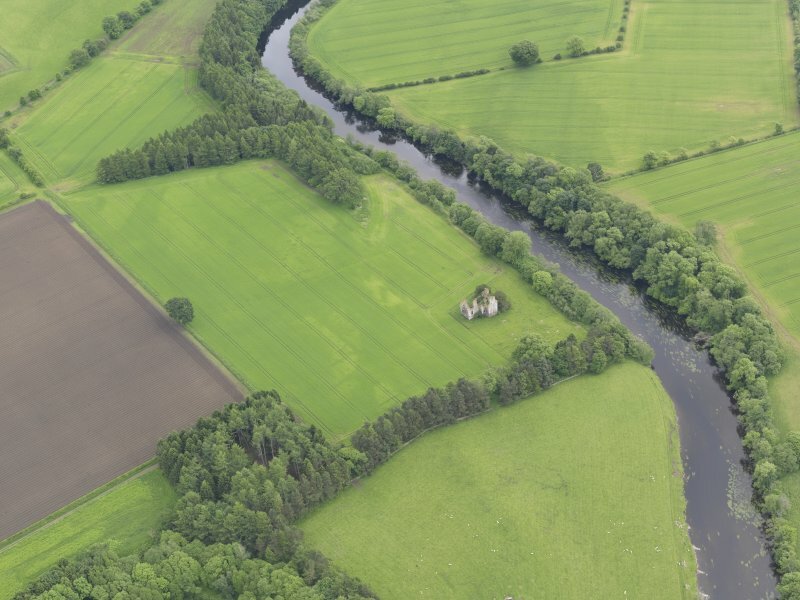 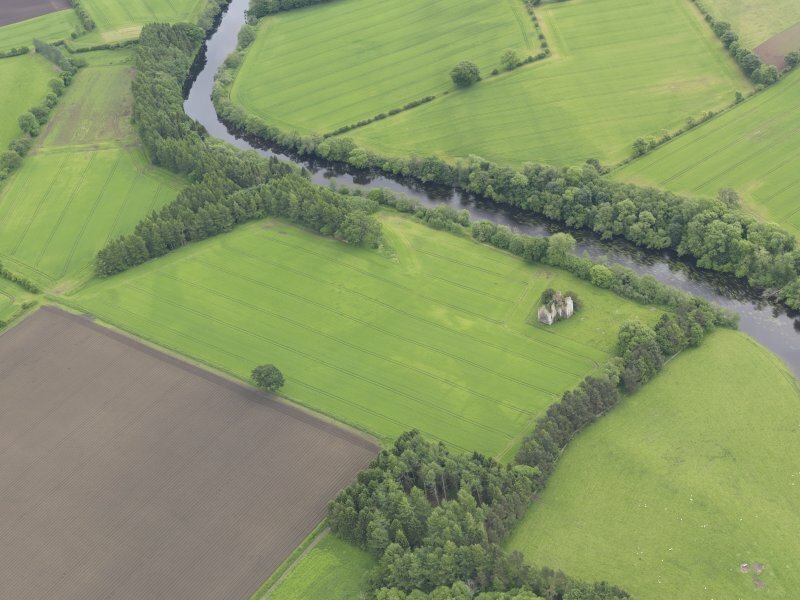 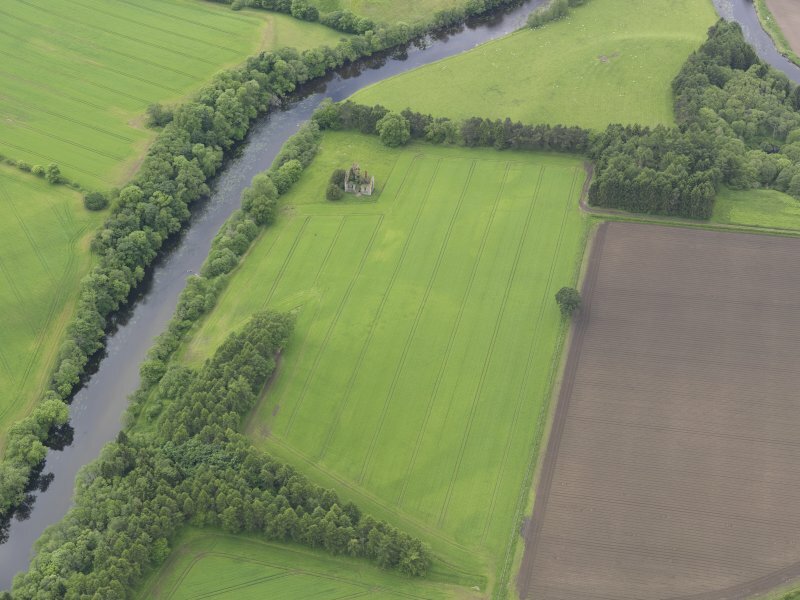 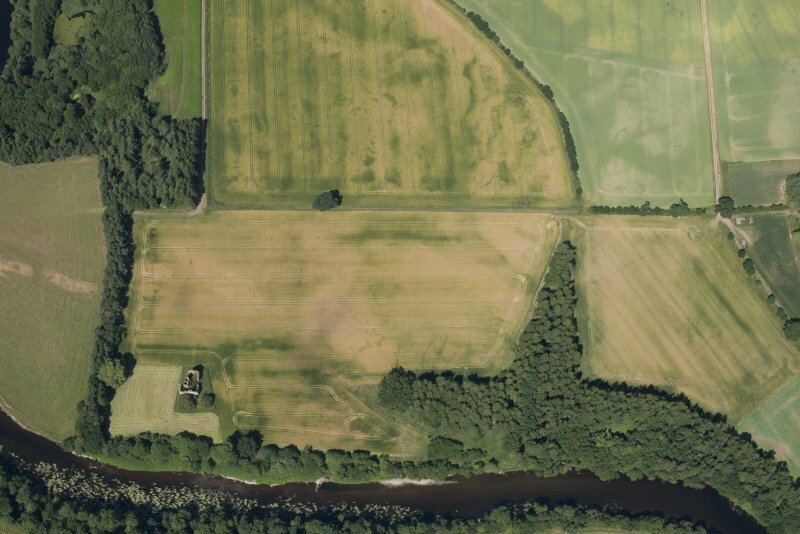 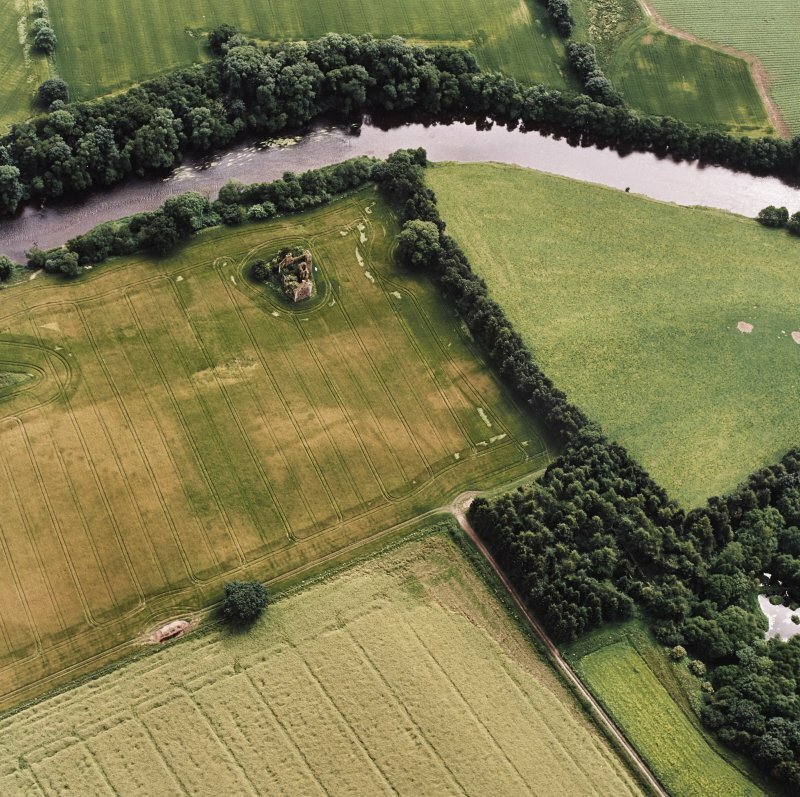 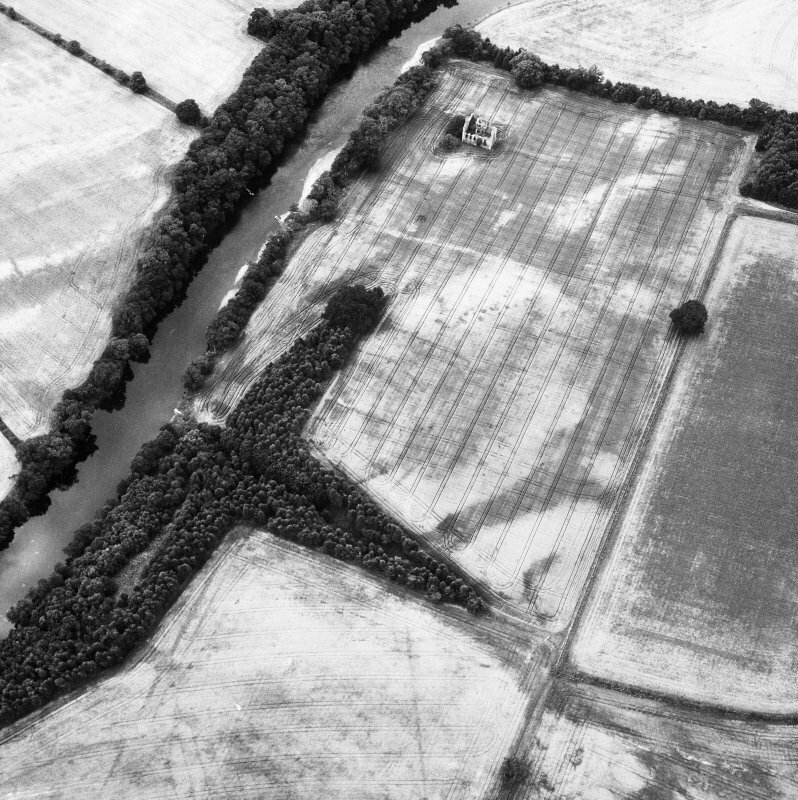 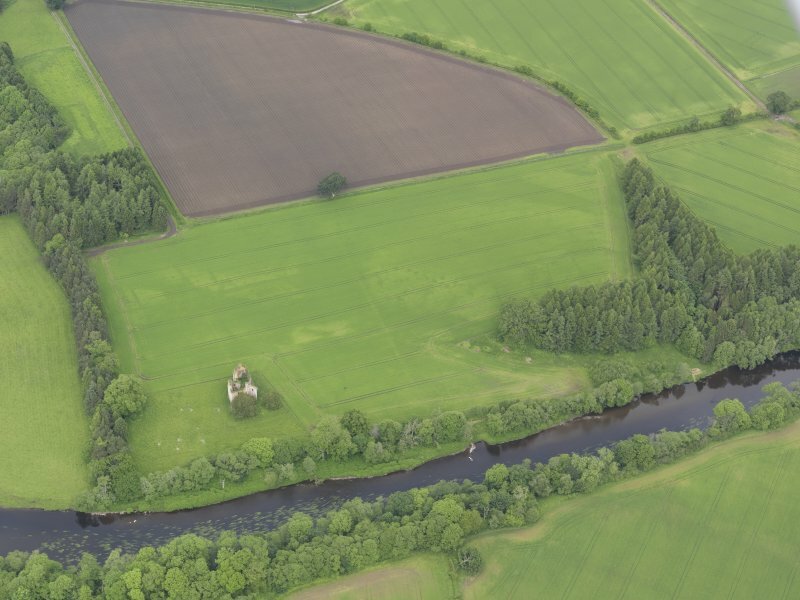 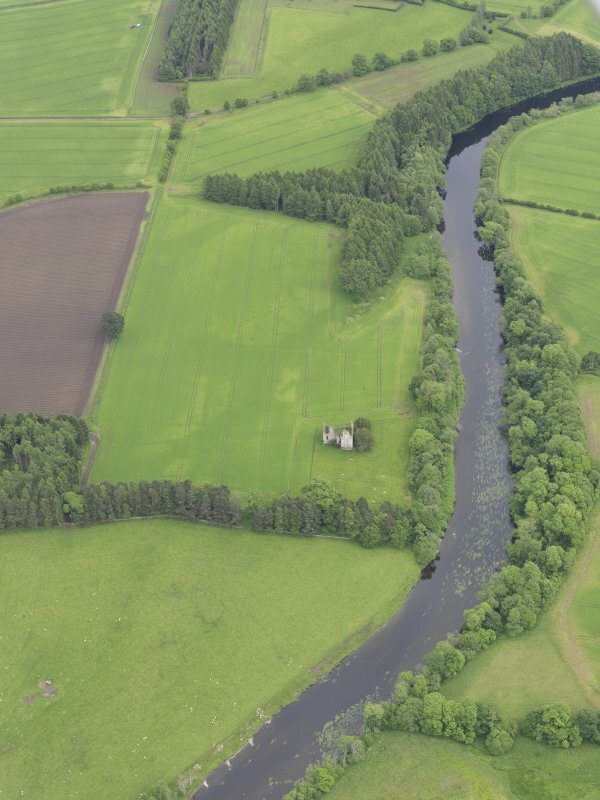 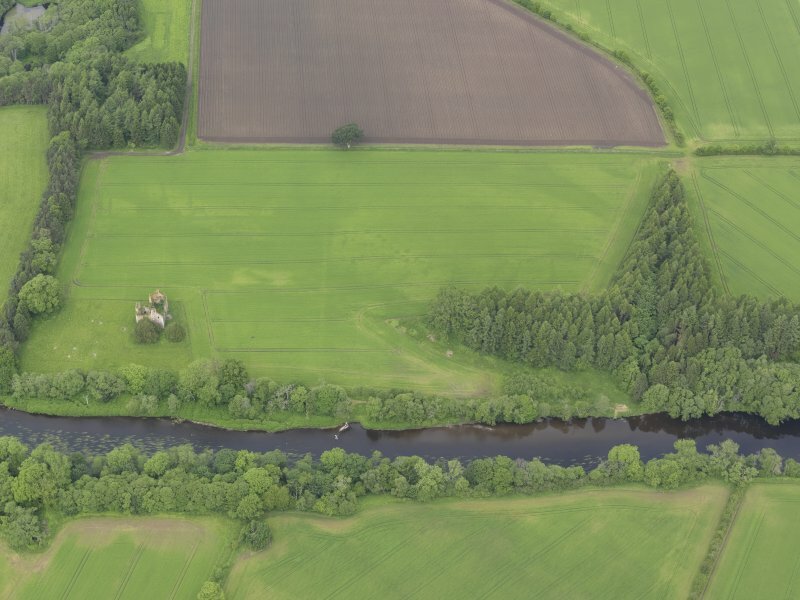 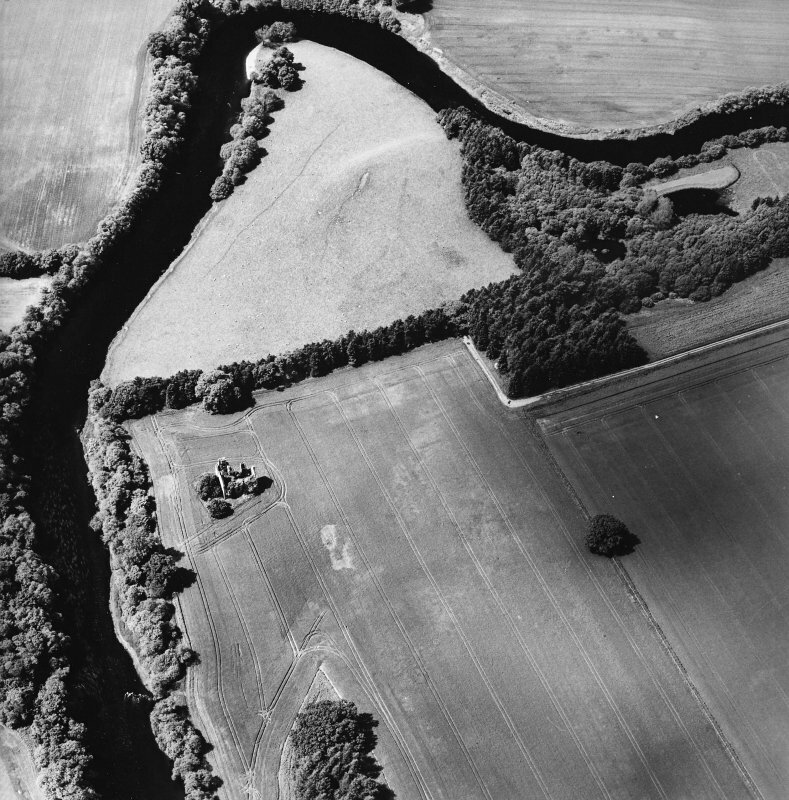 South Mains, Innerpeffray, oblique aerial view, taken from the WNW, centred on cropmarks including those of pits. 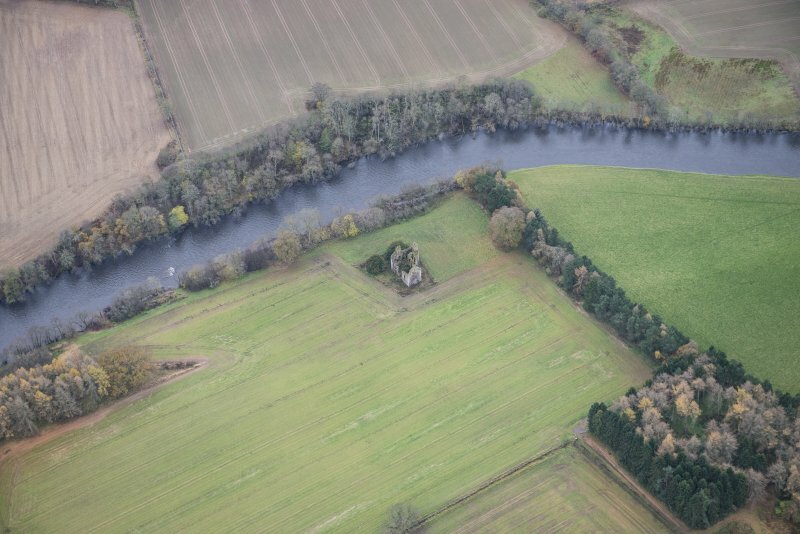 Innerpeffray Castle is visible in the top left-hand corner of the photograph. 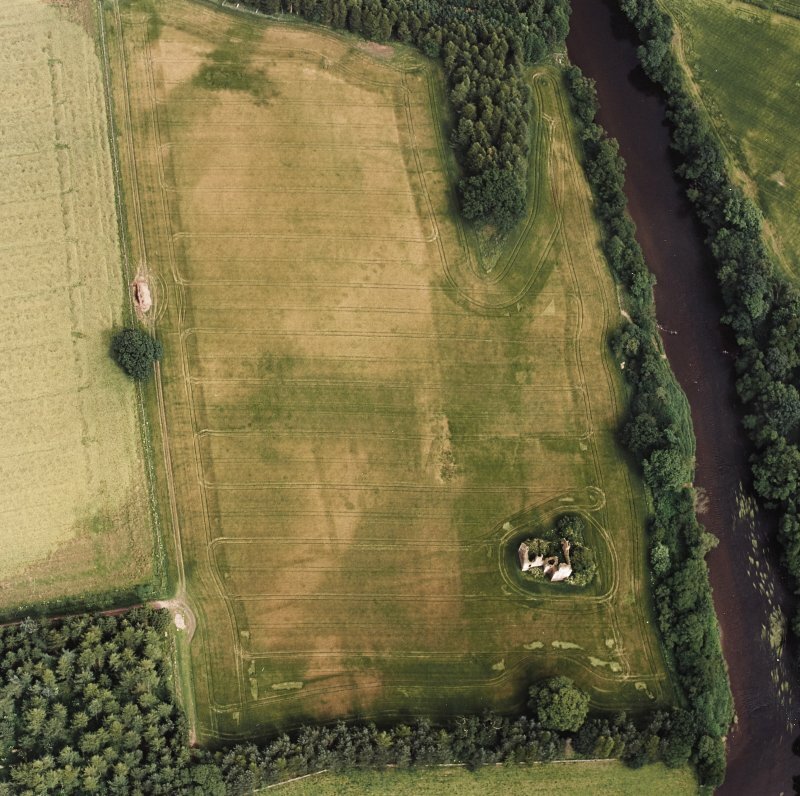 Oblique aerial view of Innerpeffray centred on the remains of the tower house and the cropmarks of a possible garden, a fort, and a pit-alignment, taken from the WSW. 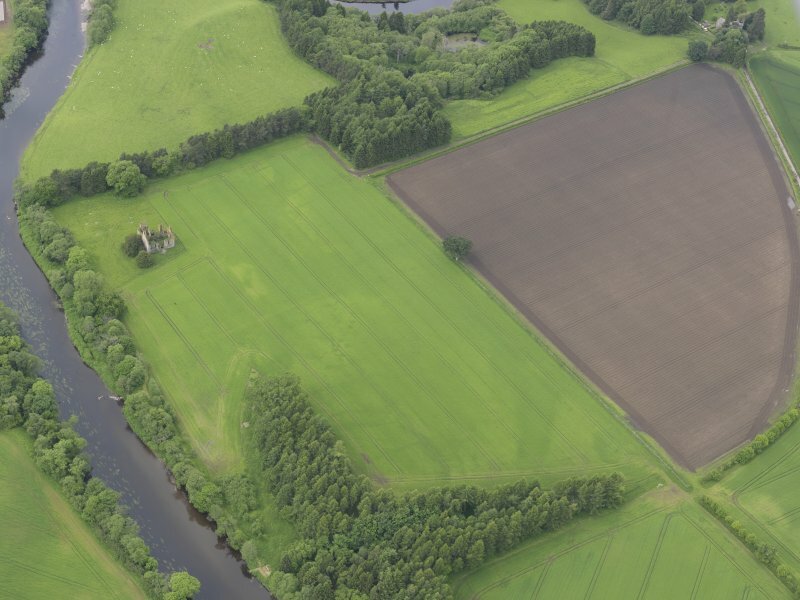 Oblique aerial view of Innerpeffray centred on the remains of the tower house and the cropmarks of a possible garden, a fort, and a pit-alignment, taken from the WNW. 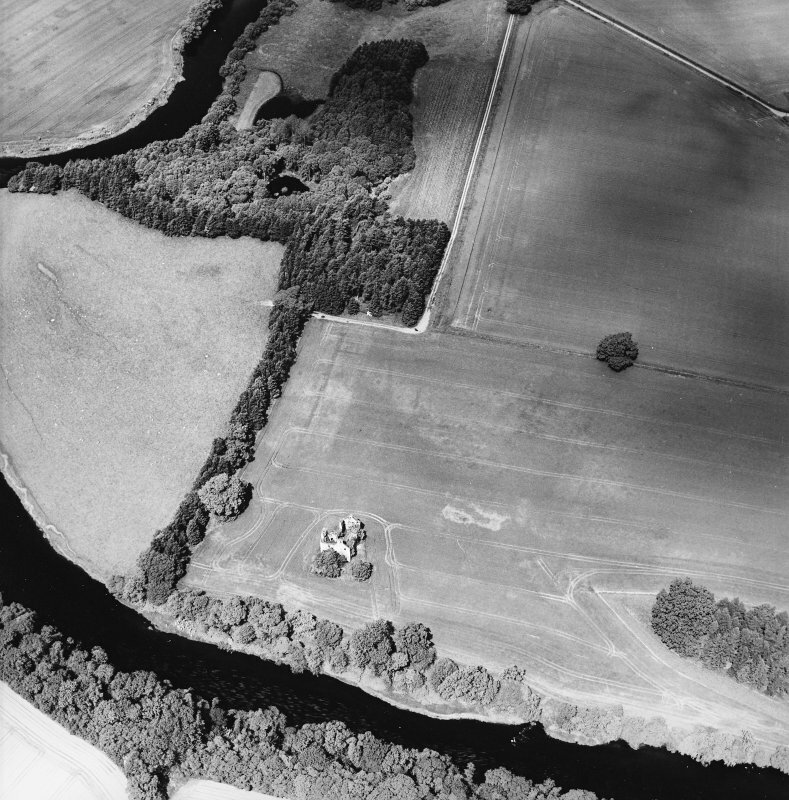 Oblique aerial view of Innerpeffray centred on the remains of the tower house and the cropmarks of a possible garden, a fort, and a pit-alignment, taken from the E.
Oblique aerial view of Innerpeffray Castle, taken from the NW. 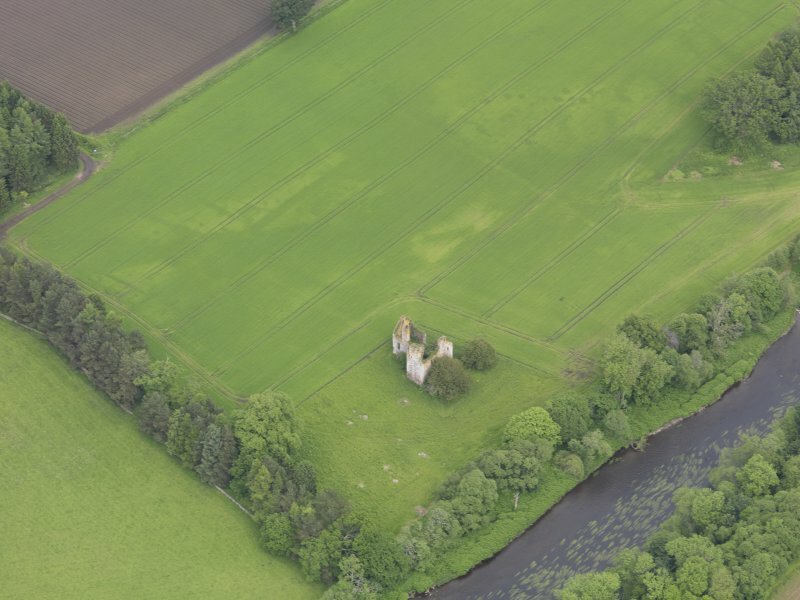 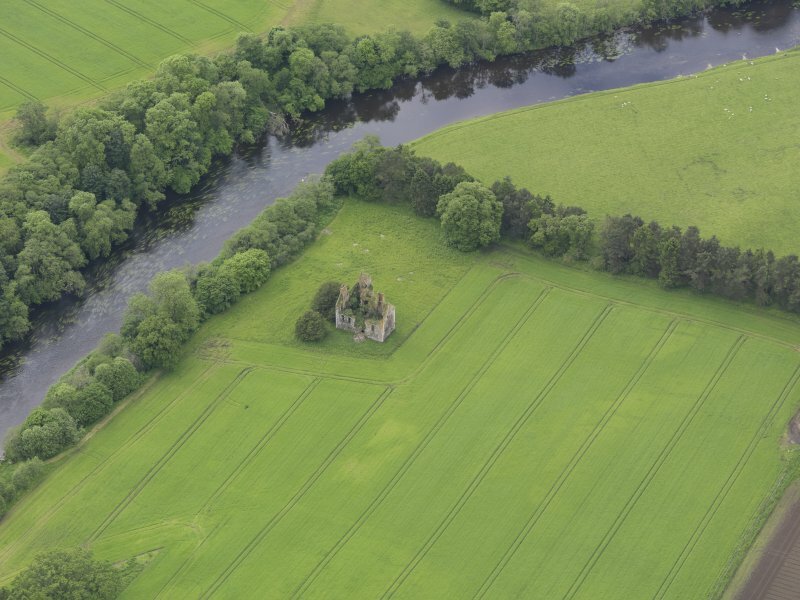 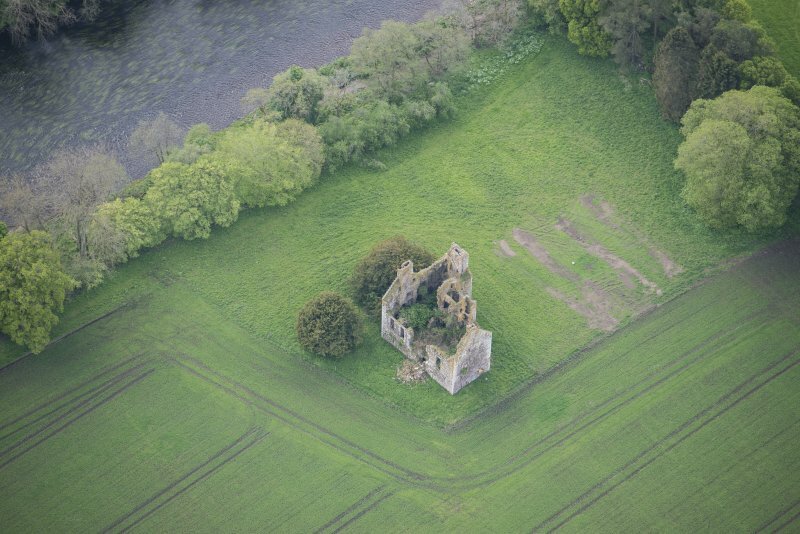 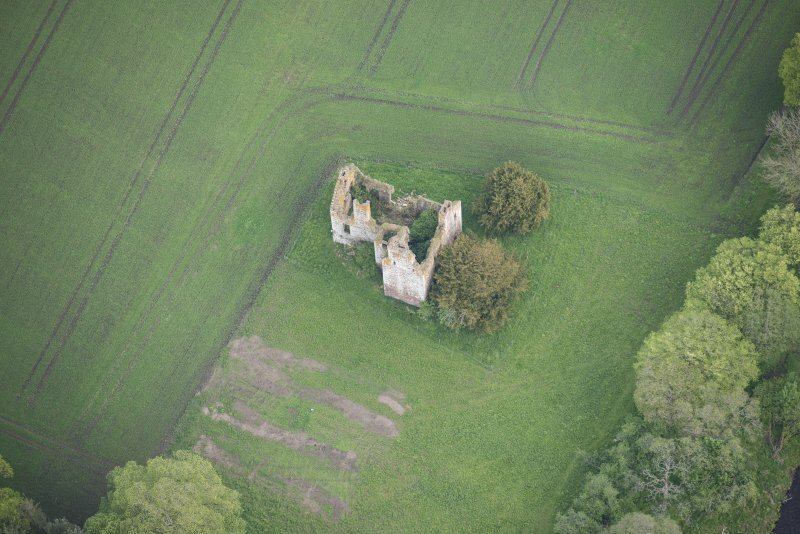 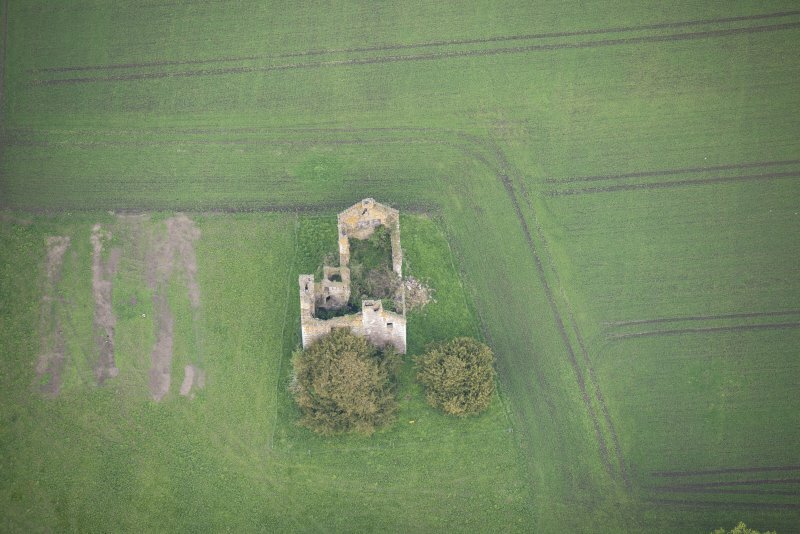 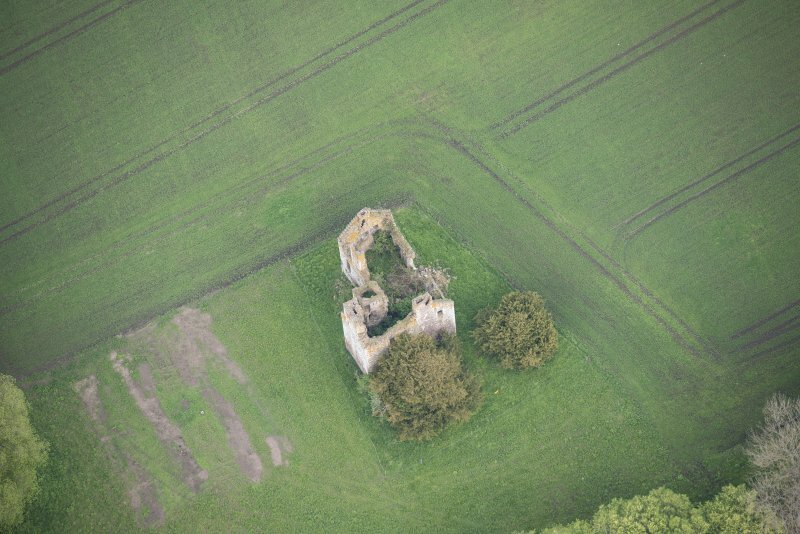 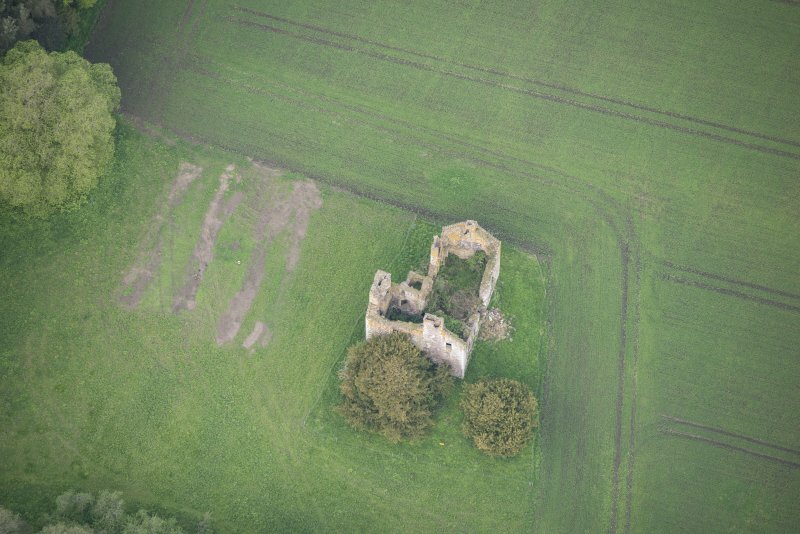 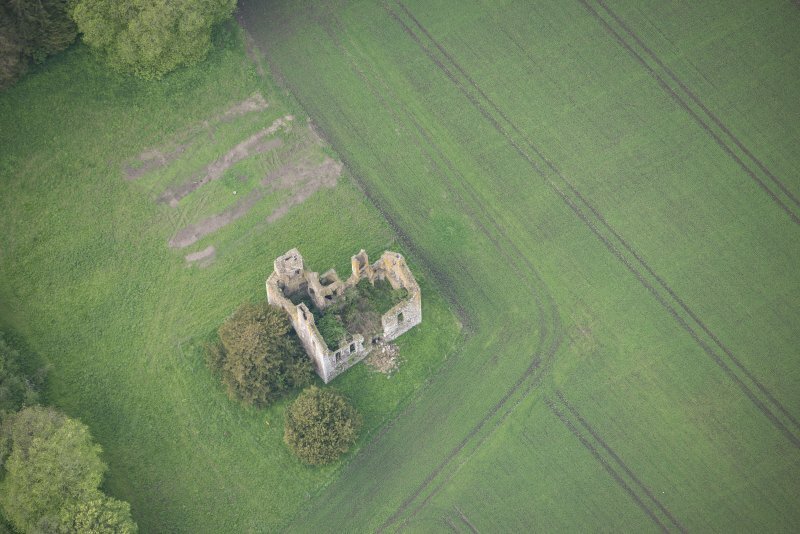 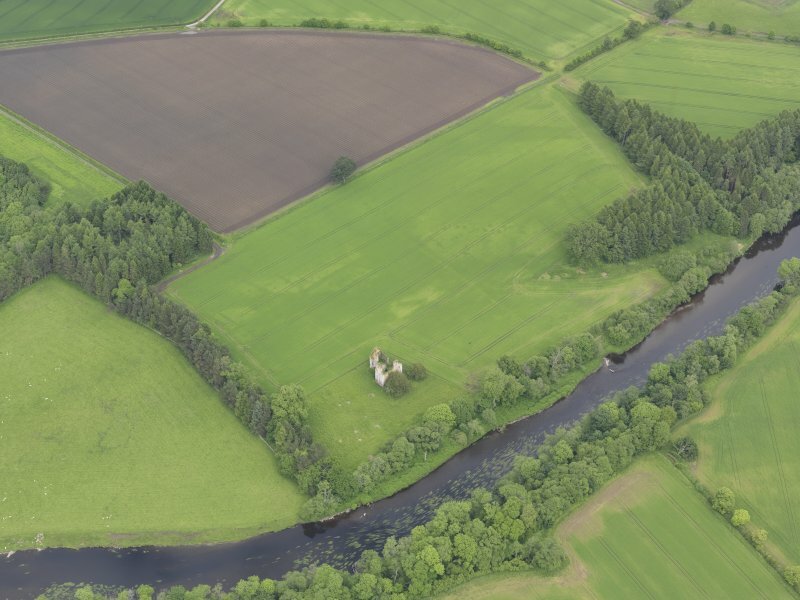 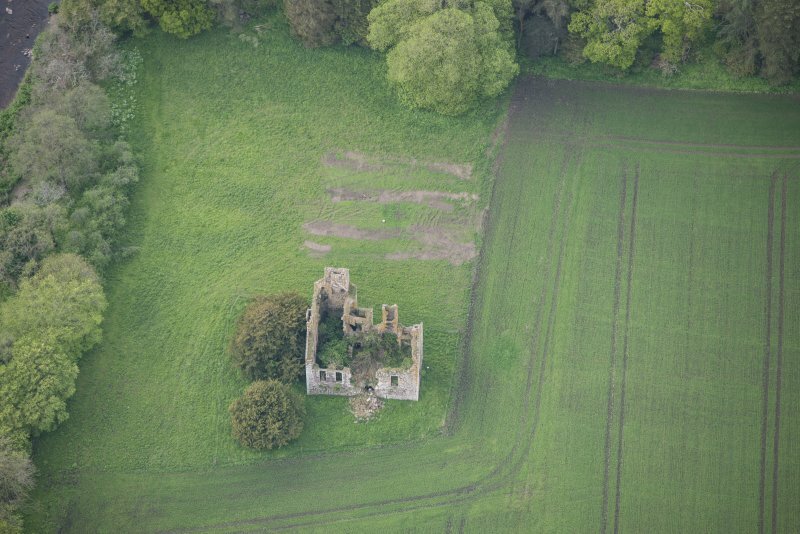 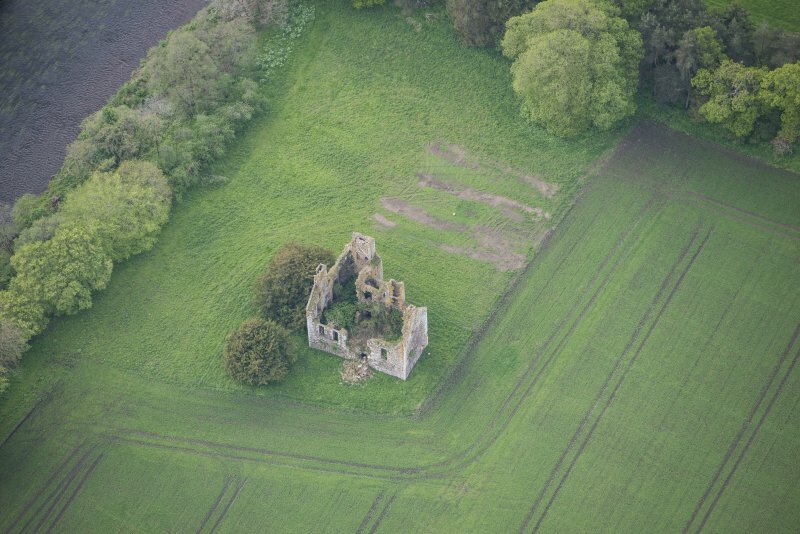 Oblique aerial view of Innerpeffray Castle, taken from the SSE. 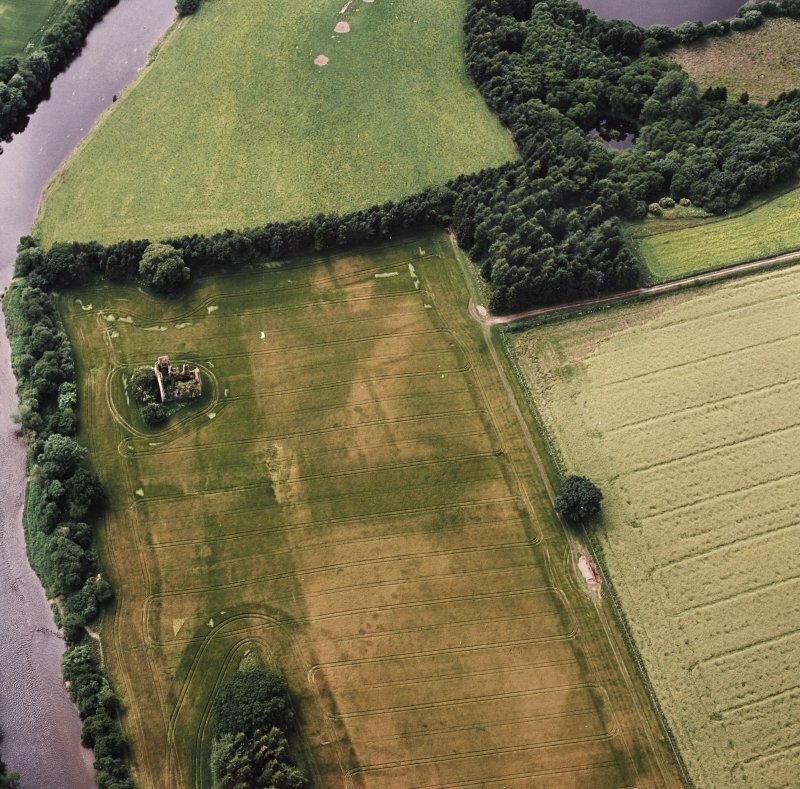 Oblique aerial view centred on the cropmarks of the pit-alignment, garden and fort with the remains of the tower house adjacent, taken from the NE. 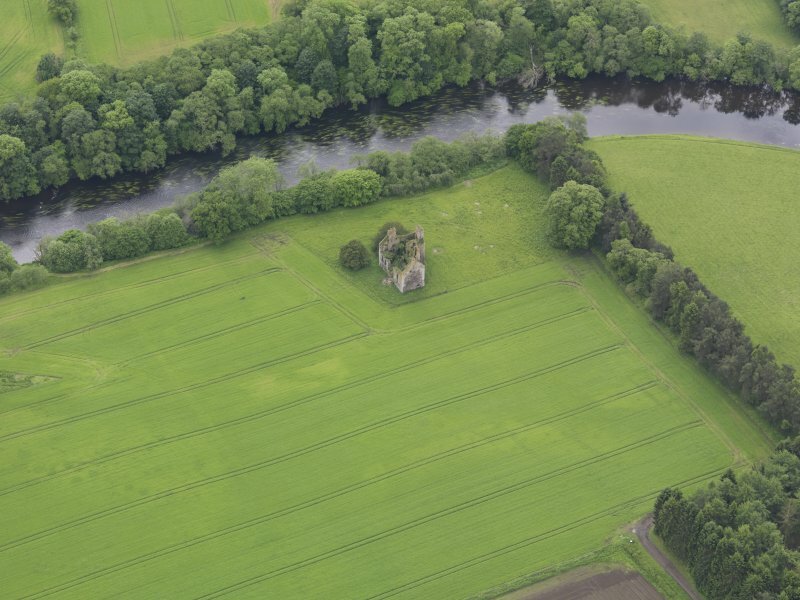 Oblique aerial view of Innerpeffray Castle, taken from the WNW. 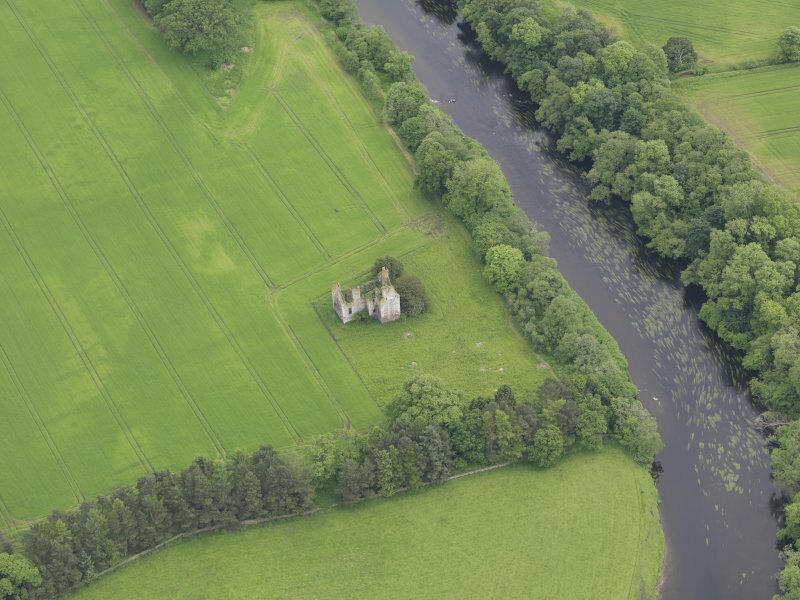 Oblique aerial view of Innerpeffray Castle, taken from the ESE. 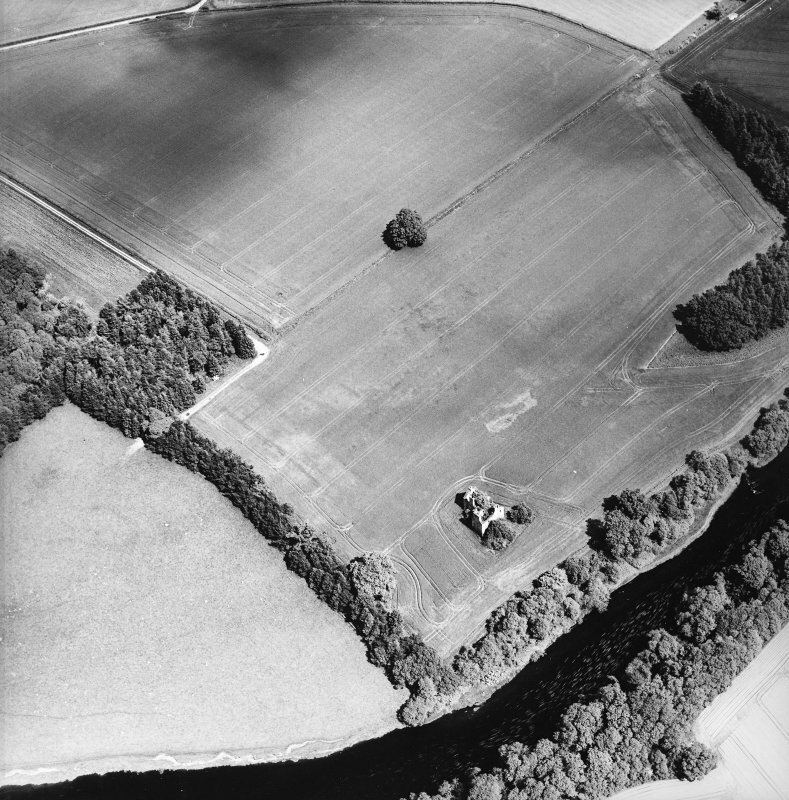 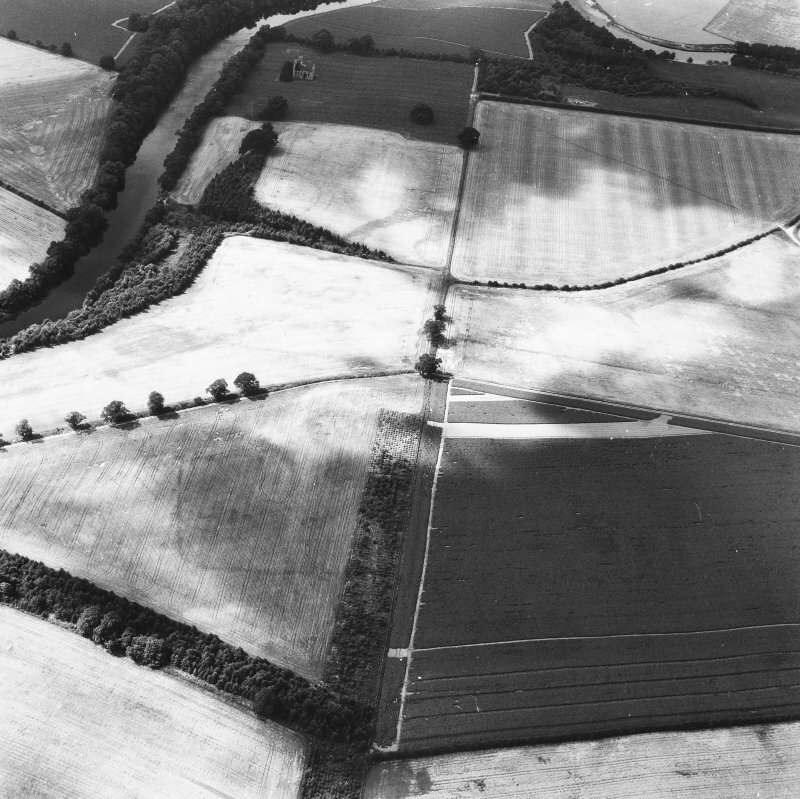 South Mains, Innerpeffray, oblique aerial view, taken from the WSW, centred on cropmarks including those of pits. 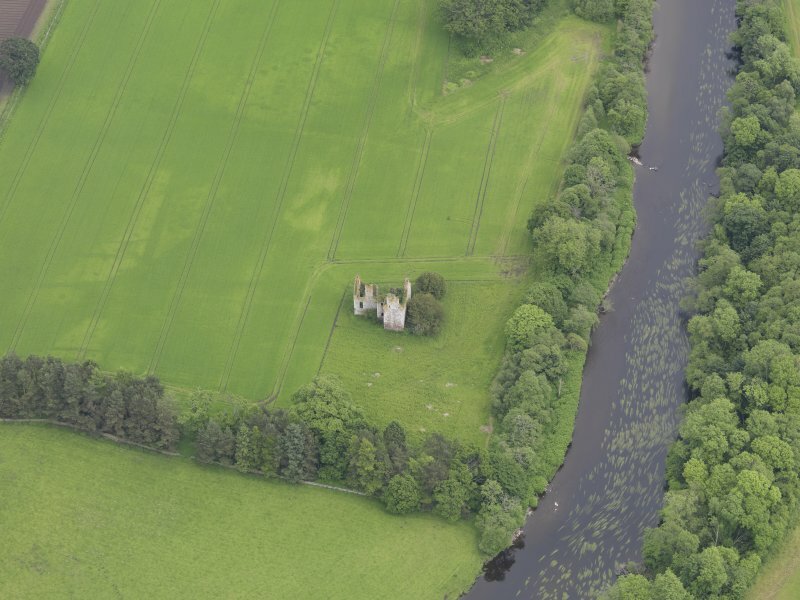 Innerpeffray Castle is visible in the top right-hand corner of the photograph. 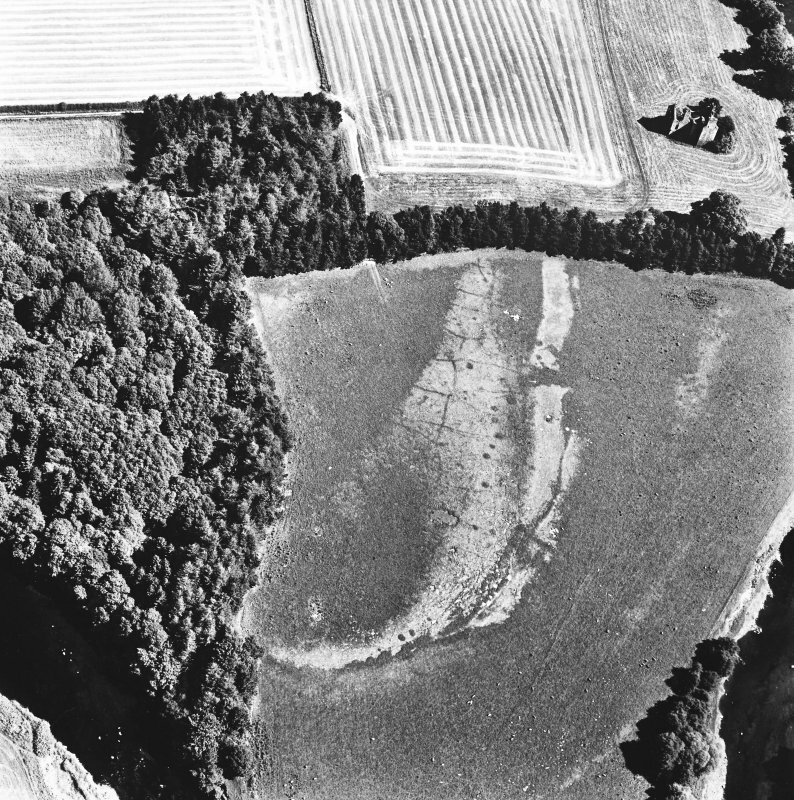 Oblique aerial view centred on the remains of the castle and cropmarks of the possible garden and pit-alignment, taken from the WSW. 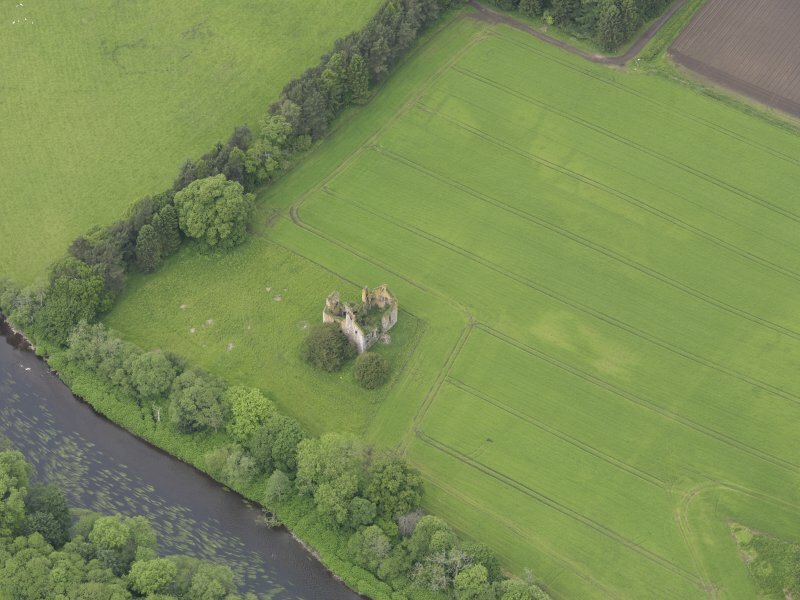 Oblique aerial view of Innerpeffray Castle, taken from the SW.
Oblique aerial view of Innerpeffray Castle, taken from the NE. 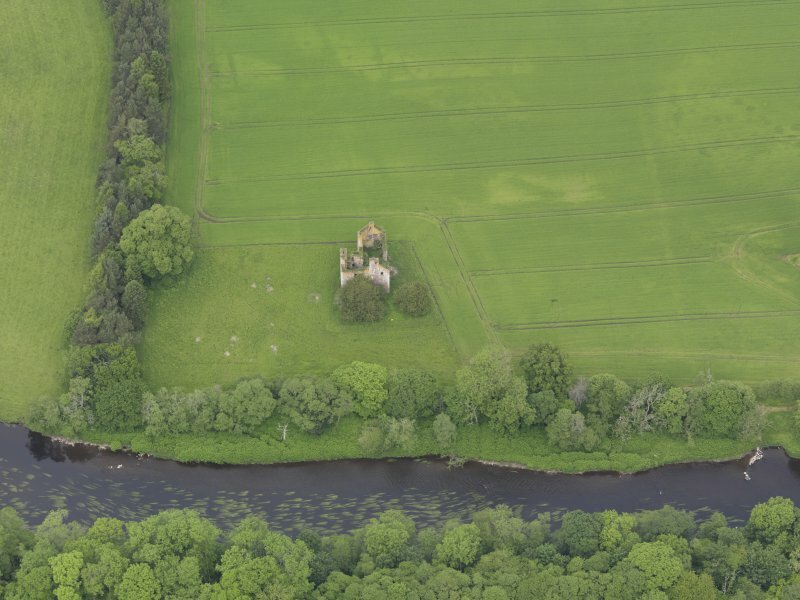 Oblique aerial view of Innerpeffray Castle, taken from the E.
Oblique aerial view of Innerpeffray Castle, taken from the SE. 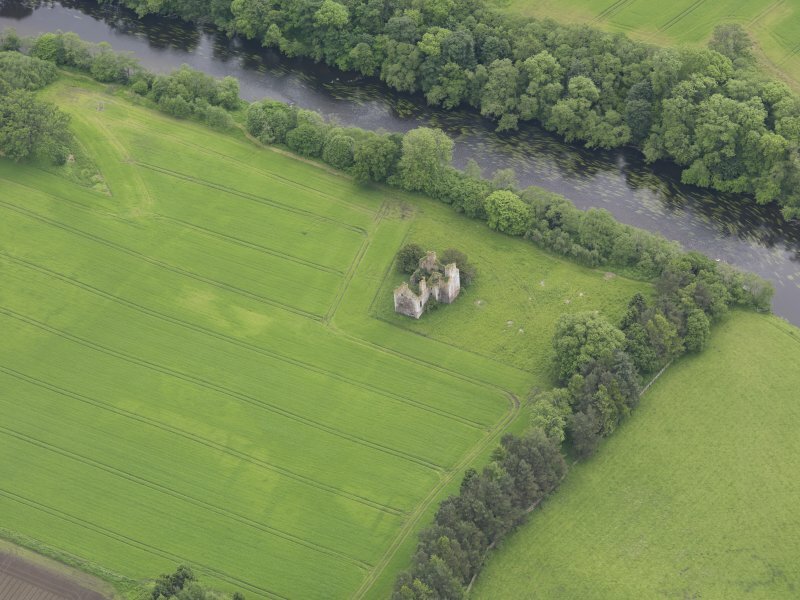 Oblique aerial view of Innerpeffray Castle, taken from the NNW. 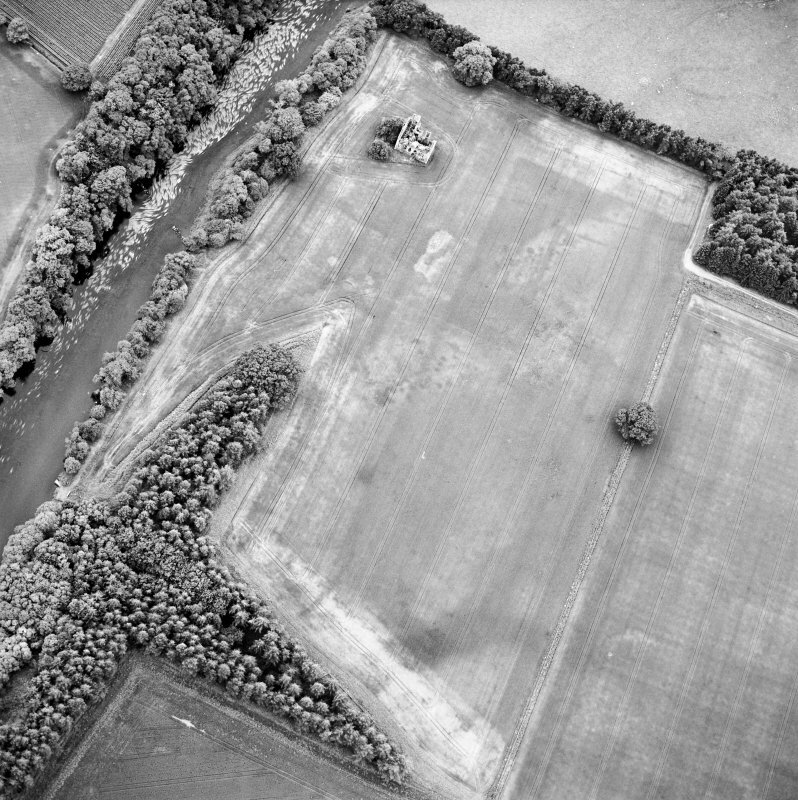 Oblique aerial view of Innerpeffray centred on the remains of the tower house and the cropmarks of a possible garden, a fort, and a pit-alignment, taken from the SE. 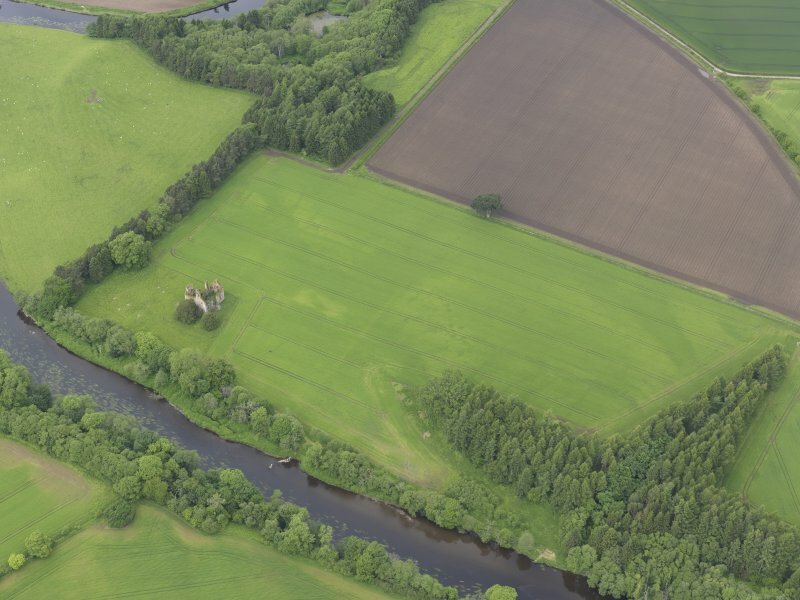 Oblique aerial view of Innerpeffray Castle, taken from the WSW. 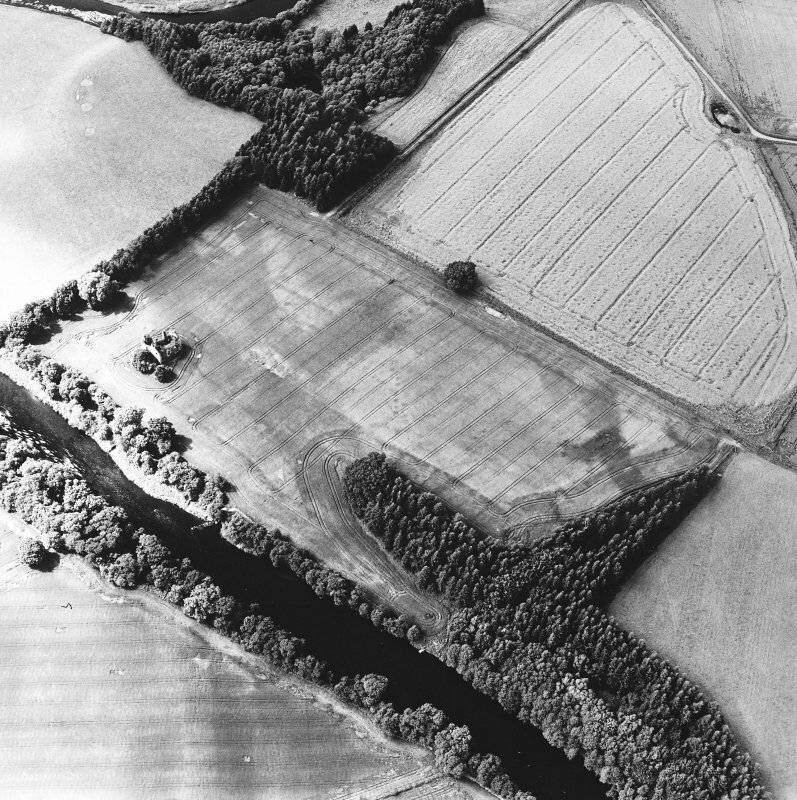 Oblique aerial view of Innerpeffray Castle, taken from the W.
Oblique aerial view centred on the remains of the castle and cropmarks of the possible garden and pit-alignment, taken from the SE. 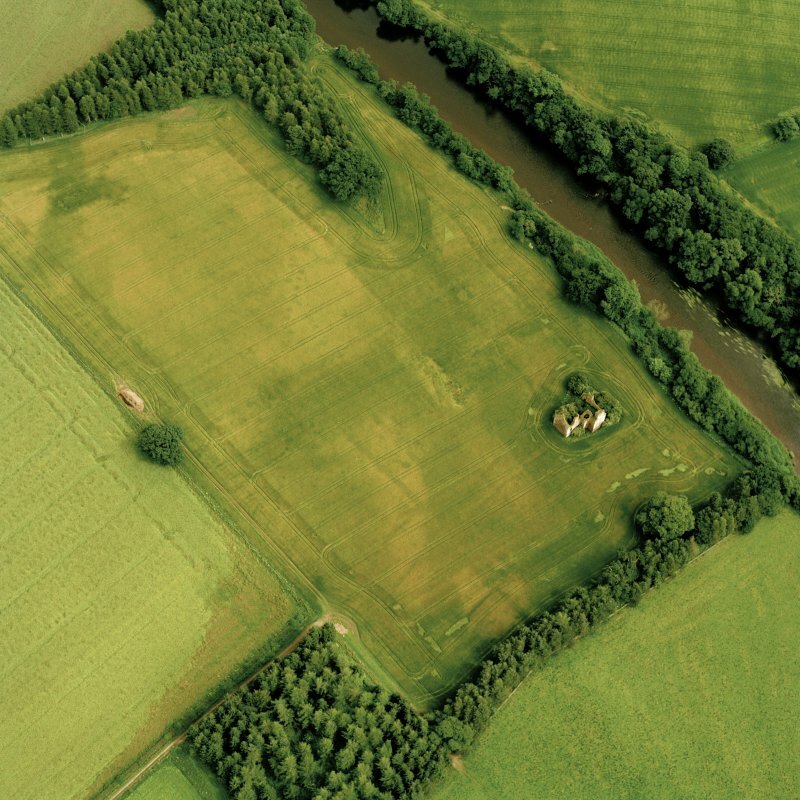 Oblique aerial view centred on the remains of the castle and cropmarks of the possible garden and pit-alignment, taken from the SSW. 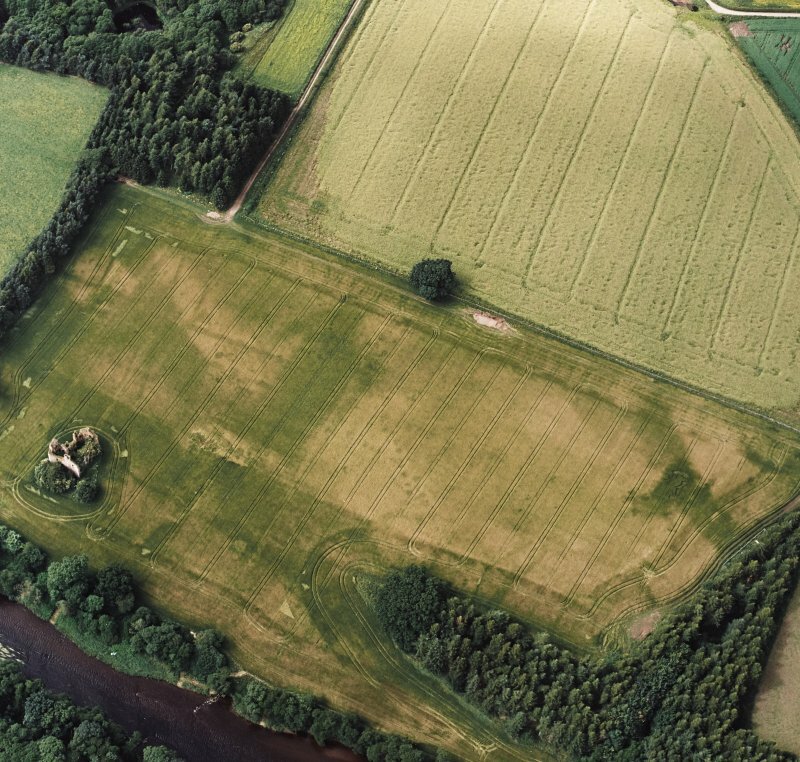 Oblique aerial view of Innerpeffray centred on the remains of the tower house and the cropmarks of a possible garden, a fort and a pit-alignment, taken from the NW. 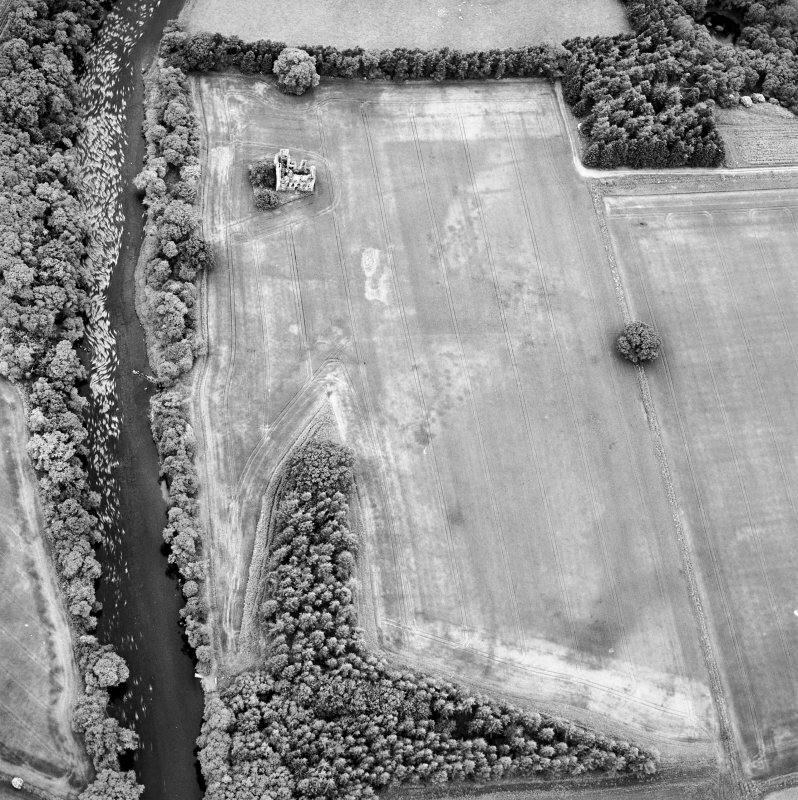 Oblique aerial view of Innerpeffray centred on the remains of the tower house and the cropmarks of a possible garden, a pit-alignment and a fort, taken from the SE. 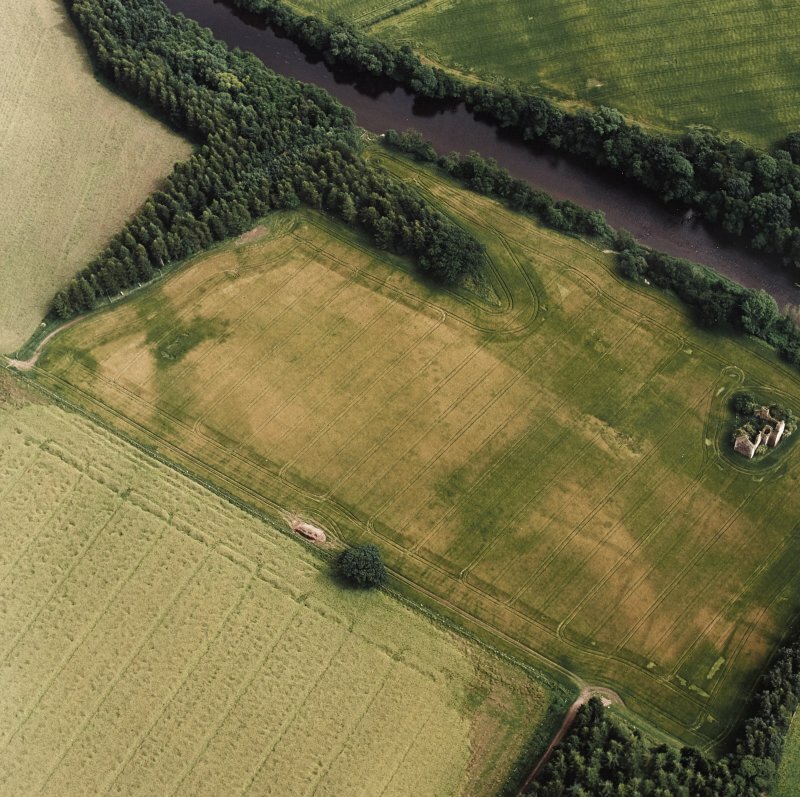 Oblique aerial view of Innerpeffray centred on the remains of the tower house and the cropmarks of a possible garden, a fort, and a pit-alignment, taken from the NNW. 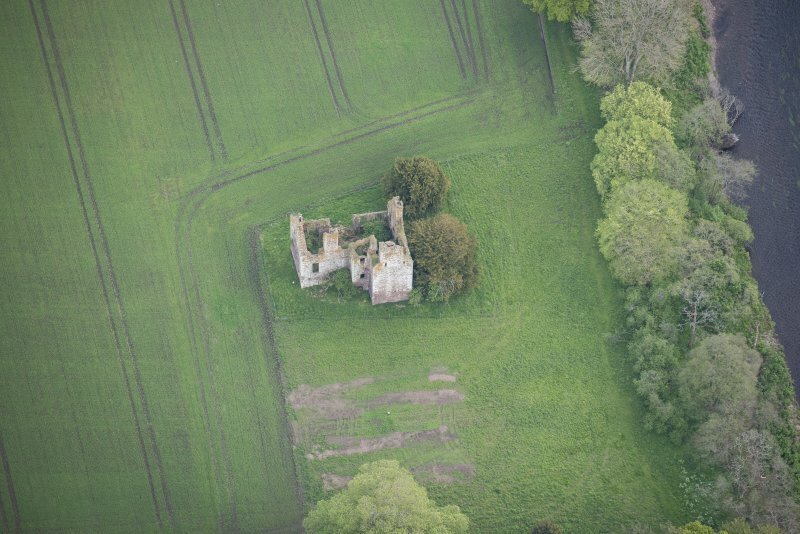 Oblique aerial view of Innerpeffray Castle, looking SSW. 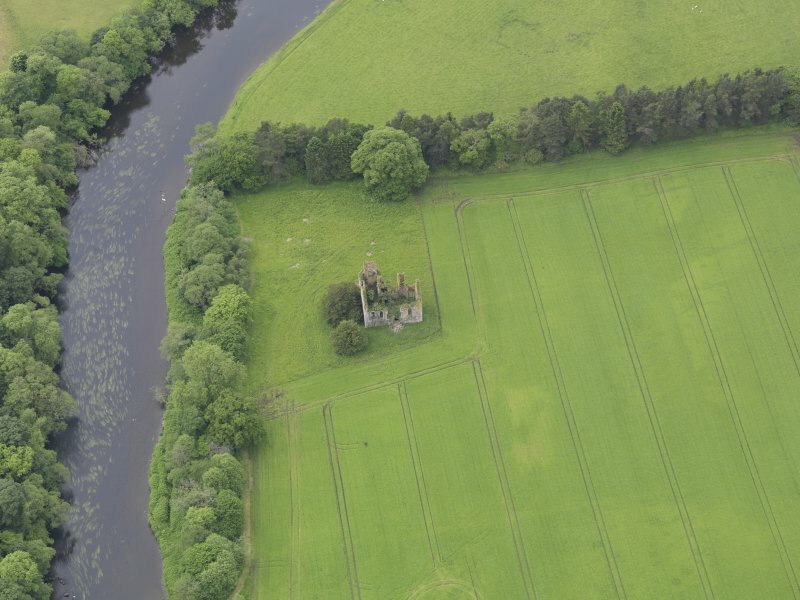 Oblique aerial view of Innerpeffray Castle, taken from the ENE. 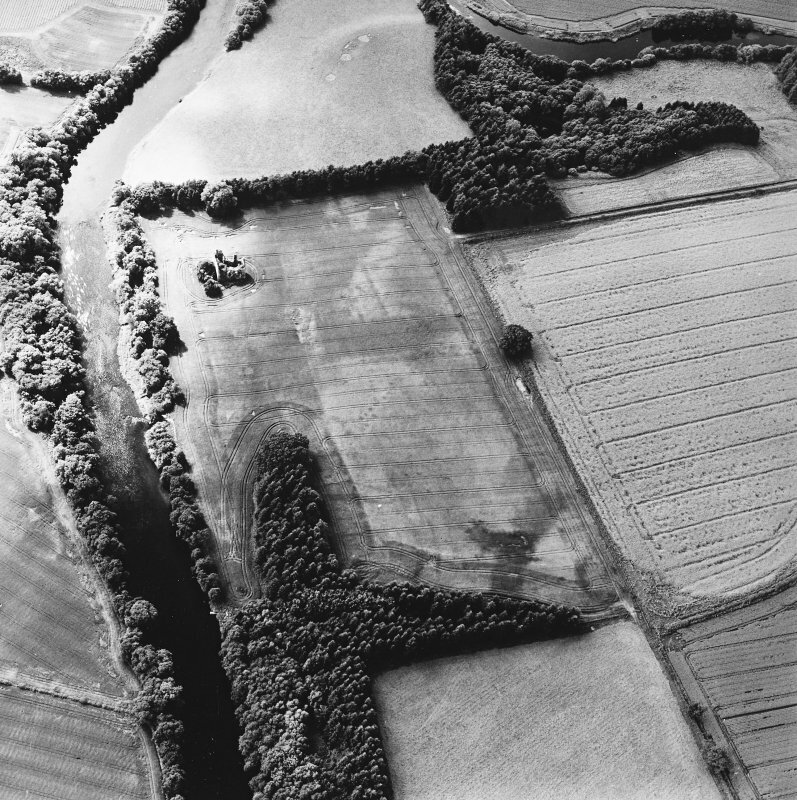 Oblique aerial view of Innerpeffray Castle, taken from the S.
Oblique aerial view of Innerpeffray Castle, taken from the N.
Oblique aerial view of Innerpeffray centred on the remains of the tower house and the cropmarks of a possible garden, a pit-alignment and a fort, taken from the NNE. 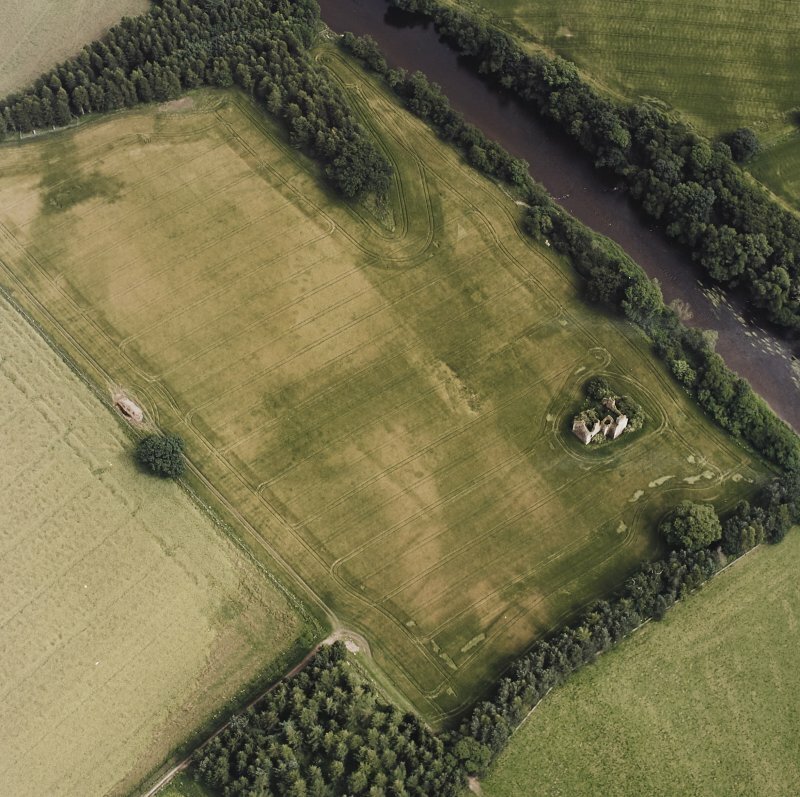 Oblique aerial view centred on the cropmarks of the pit-alignment, garden and fort with the remains of the tower house adjacent, taken from the ESE. 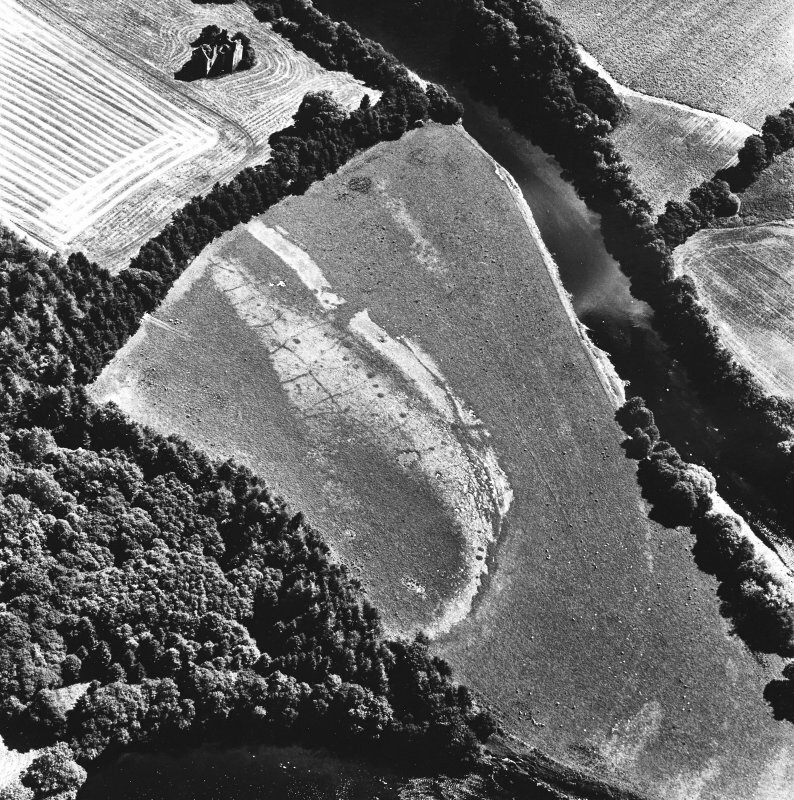 Oblique aerial view centred on the remains of the castle and cropmarks of the possible garden and pit-alignment, taken from the E.
Oblique aerial view of Innerpeffray centred on the remains of the tower house and the cropmarks of a possible garden, and a pit-alignment, taken from the E.
Oblique aerial view centred on the cropmarks of the pit-alignment, garden and fort with the remains of the tower house adjacent, taken from the ENE. 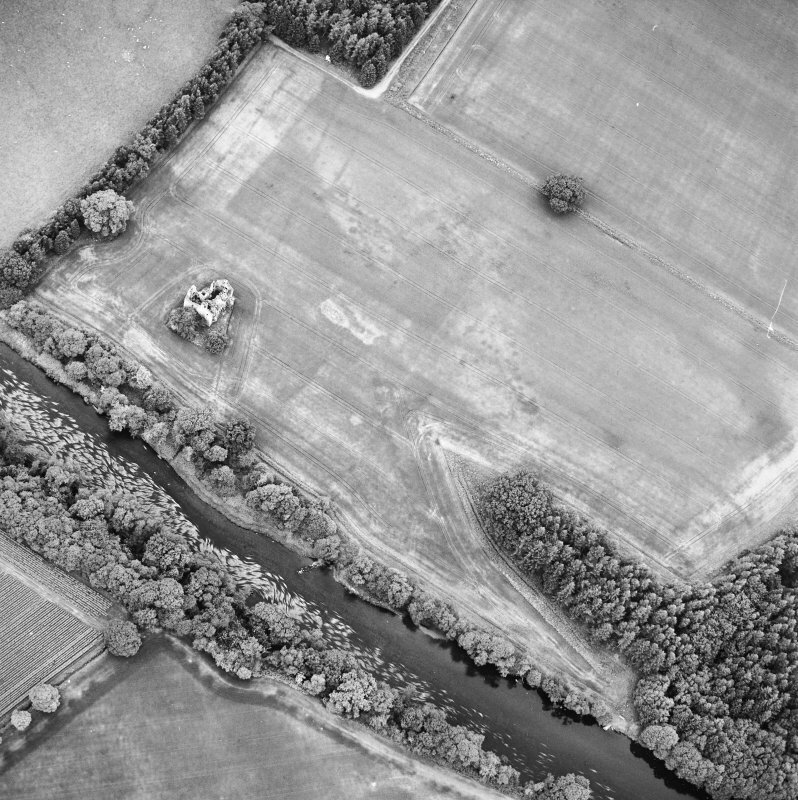 Oblique aerial view of Innerpeffray centred on the remains of the tower house and the cropmarks of a possible garden, and a pit-alignment, taken from the NNE. 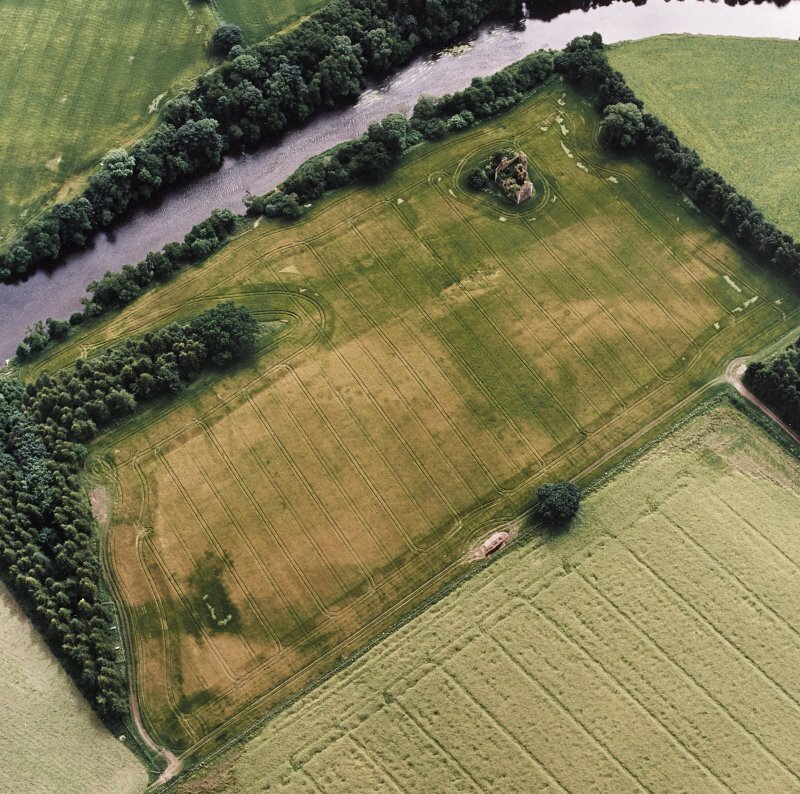 Oblique aerial view of Innerpeffray centred on the remains of the tower house and the cropmarks of a possible garden, a fort, and a pit-alignment, taken from the NNE. 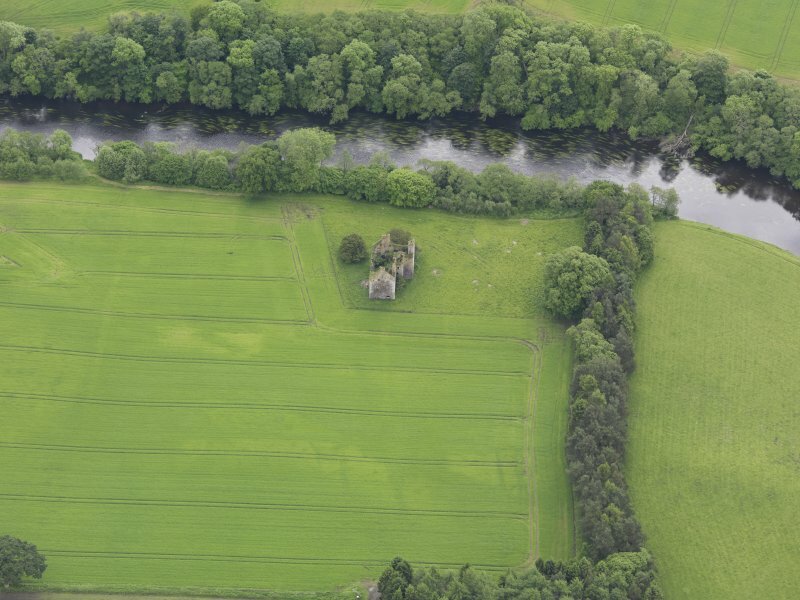 Oblique aerial view of Innerpeffray Castle and the cropmarks to its N and NE, looking N.
Innerpeffray Castle is a good example of a plain Scottish house of the beginning of the seventeenth century. 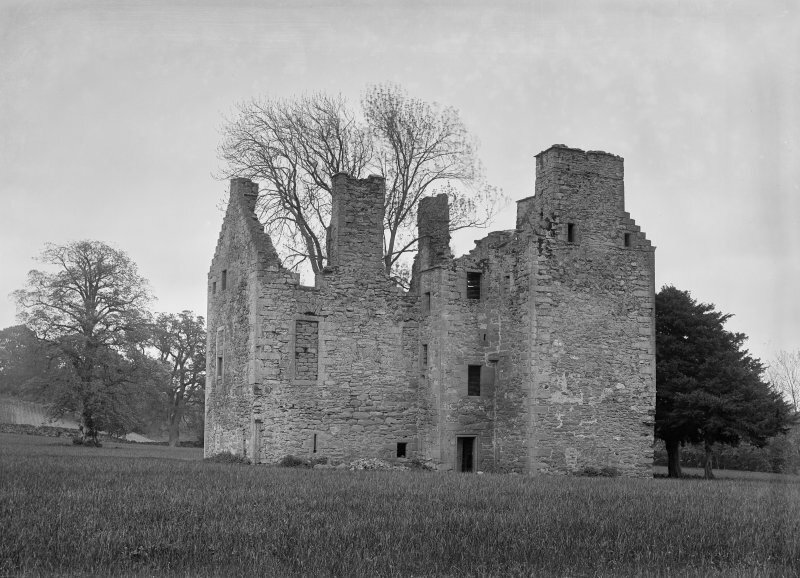 It was built by James Drummond, first Lord Madderty, about 1610. 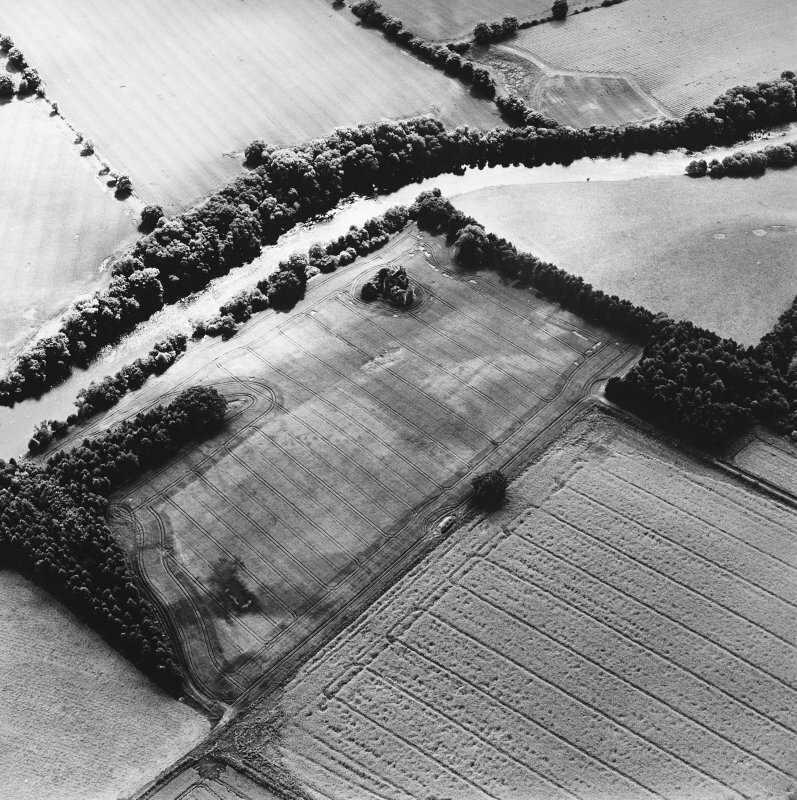 Visited by OS (W D J) 24 May 1967.